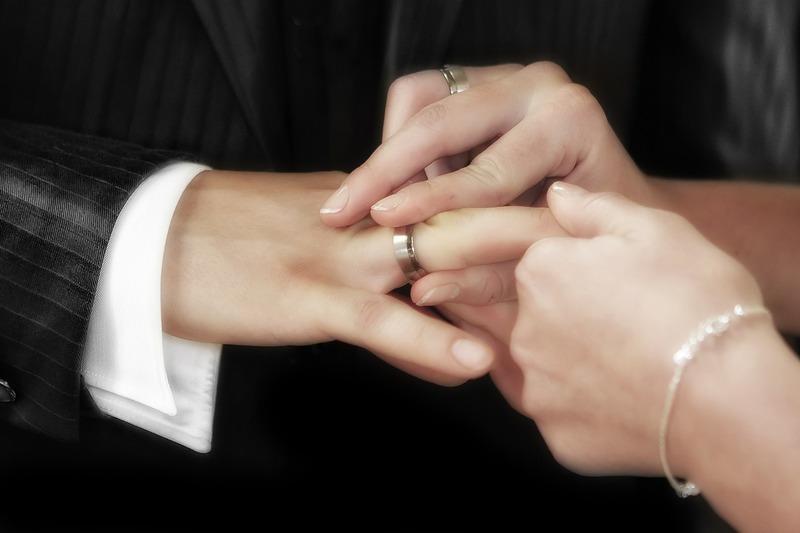 Your wedding ring is to be your constant companion from the day you get married, so make sure you choose it well. Traditionally, wedding rings were simple metal bands, but now the options are more and interesting. You can make your pick from gold, silver or other precious metals, have it embedded with little stones or even personalize it with your initials. As interesting as all these options sound, remember that making a practical and sensible choice will ensure that your wedding ring serves you well for several years. 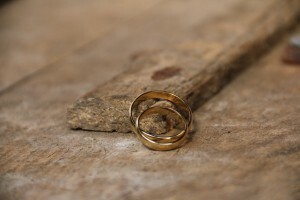 Here is a guide to the important factors that you should remember when buying your wedding ring. 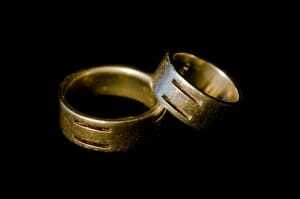 Wedding bands are available in gold, silver and platinum. Yellow gold is the traditional choice, and one thing to remember if you choose gold is higher the carat, the softer it will be. If you choose gold, try to avoid 22 carat and 24 carat rings, as you will be wearing it constantly and it has to be sturdy for constant use. Platinum is your other option. It is more expensive than gold, but it is also more durable and stronger. Weigh the price against the benefits of opting for this metal, and make your choice accordingly. If you love the color of platinum, but the price is beyond budget, choose white gold for a similar look. Most jewelers supply wedding rings in a range of sizes. Before placing your order, check with the seller and find the right size that corresponds to your ring finger. If you have a ring that sits comfortably on your finger, choose your wedding ring in the same size as this ring. If you can’t locate your size in the standard measurements, consider having your ring custom-made. Since you will be wearing your wedding ring for a long time, finding the right fit is absolutely essential. Unlike your wedding dress, which you will only wear on your big day, your wedding ring has to stand the test of time. What is trendy today may be outdated tomorrow. 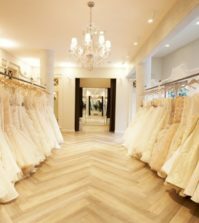 So, your best option is to choose a design that has always been popular and won’t go out of fashion. Should you wish to experiment, do so only after you think clearly about whether you will be comfortable wearing the ring twenty years from now. Once you choose a wedding ring, the jeweler will take time to make it in your size and deliver it to you. So, don’t put it off till the last minute. If both of you want matching wedding bands, go shopping together, or customize your wedding rings so they look like a pair. 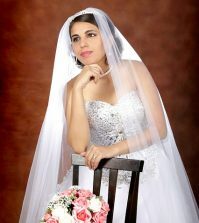 Allow sufficient time to place the order and receive it, so you have it in time for your wedding. You will be spending a good amount on your wedding ring, and so it makes sense to have it insured. Do this when you purchase the rings. Although this doesn’t mean you can be careless with your ring, it will at least cover up your expenses, should you lose the ring for some reason. To view our vast collection of wedding rings, and to make your choice from them, visit us on Best for Bride. I thought we were going to run into issues getting our wedding bands ordered special so late, but they are here and things are going just as planned! Getting the size right is key. Of course you want it to fit comfortably as possible, even though over time the size might have to be adjusted.